Recently, ScoopWhoop did a story on how a group of 700 farmers came together to build a canal in the Horti village of drought-hit Marathwada in Maharashtra. The project was supported by a crowdfunding campaign by farmers. Well, it's completely ready and has started to fill with water. "We have never seen this much water being collected in this area. Every farmer here, and their next three generations, won’t forget this episode. Our sincere gratitude to all those who supported us – May God bless you all," said a villager who was a part of the campaign. The construction was over in early June. After that, the villagers only had to wait for rains. Luckily, they didn't have to wait for long, for pre-monsoon showers arrived in the second week of June. Subsequently, the canal started to fill. This project is one-of-its-kind in the country because half the funds needed were raised through an online crowdfunding platform. As many as 700 farmers contributed the remaining Rs 3 lakh. What left the villagers overwhelmed was that online, the funds were raised in just 10 days. The villagers say they were surprised at people generously open their wallets and contribute towards the project. “We are thrilled to have been a part of this story. And, more importantly, humbled by the outpouring of generosity this campaign has seen from people across the country. We have witnessed India standing up for Marathwada – we salute all the contributors,” says Ranganath Thota, Founder and CEO says on the success of the project. The success story of this project has inspired a similar initiative in another part of the country. 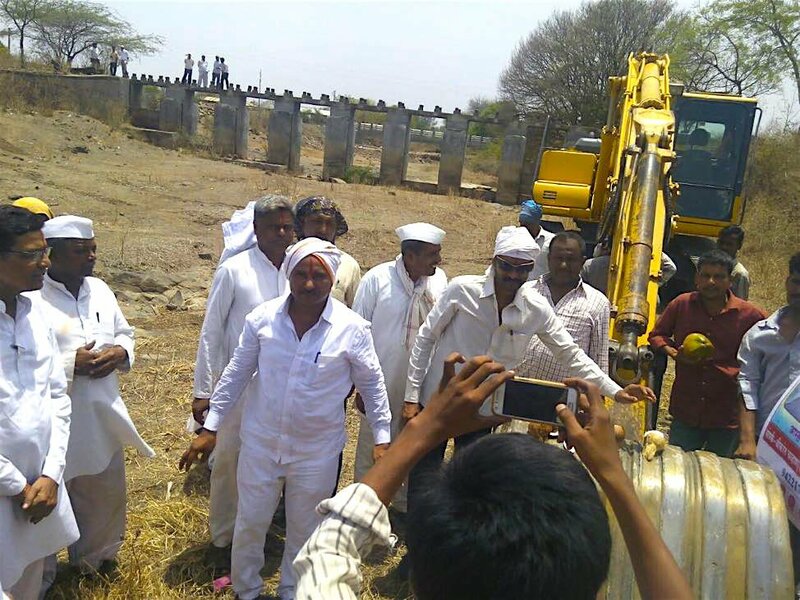 Now, a water canal project is being planned in the drought-hit village of Murta in Osmanabad. The NGO Suryodaya Parivar, who started this initiative, is raising money for the canal in Murta village of Maharashtra, which has already reached 75% of its Rs 3 lakh goal.